Agriculture, horticulture and food production is heavily influenced by the need to reduce pesticide residues and improve food safety. Similarly, the environments in which we live and work are subjected to stringent controls on pesticide use, to minimise their environmental impact and exposure risk. In addition, the increased scrutiny being applied by regulatory authorities to pesticides, has limited the portfolio of products available to both professional pest controllers and amateur home owners. Pheromones, insect attractants and the associated traps have therefore an established place in modern pest management, whether in crop production, storage or consumption in meeting these demands. 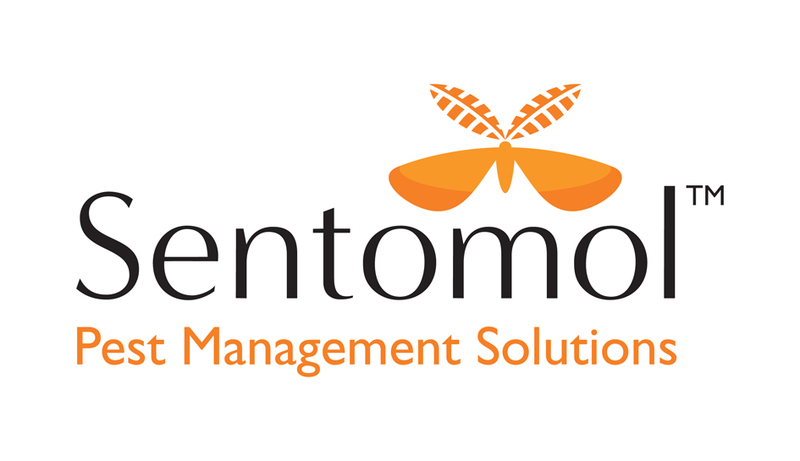 With a first degree in Forestry & Applied Zoology and a Masters in Pest Management, David Loughlin, Director of Sentomol, has worked in the Pest Management industry since 1984. His career has embraced all sectors of the agrochemical and biological pest control industry with major companies such as Wellcome, Rousell Uclaf, AgrEvo, Sandoz, Novartis, ExoSect, AgriSense and Suterra. Sentomol: The name is derived from Scent (or Sentire in Latin) Entomology and Molecular. Scent: pronounced /sĕnt/. Noun, Late Middle English (denoting the sense of smell): from Old French sentir 'perceive, smell', from Latin sentire. The addition of -c- (in the 17th century) is unexplained. Molecular: pronounced /mo/lec/u/lar/. Adjective. of, relating to, or consisting of molecules. Moths have an extremely sensitive ability to detect odours and other chemical signals. Pheromones, released by female moths, are detected with high specificity and sensitivity in the antennae of males. Bombykol was the first pheromone to be identified in the silkmoth Bombyx mori in 1959. Since then the use of pheromones has evolved from monitoring to control and with the drive to improve food safety and reduce pesticide residues, an increasing number of commercial applications are now being developed not just for moths but other insect pests.